The refusal to accept that dying is an “achievement, not a defeat,” Ehrenreich argues, has led to a kind of pervasive cultural fiction of individual control over both the body and mind. Both are elements of another fiction at which Ehrenreich takes aim: Namely, the concept of the self, which, she argues, is little more than the religious soul rebooted for a secular age. Instead, in her characteristically blunt style, Ehrenreich deconstructs the practices that have grown to sustain these fictions, everything from wellness, mindfulness, fitness, anti-aging regimens, and diet fads. Mindfulness finds similar disdain, rendered in the smart, provocative, and persuasive style that’s made Ehrenreich’s previous books (Nickled & Dimed and Bright-Sided) enduring classics. Even Ehrenreich’s own interests are subject to her critique. A self-confessed gym-rat, she explores the link between fitness and control, noting it’s logical, and sometimes ugly, consequences that can extend well beyond the gym. Conflated with morality, control over one’s body can be used to determine personal values or success. “[If you] can’t control your own body, you’re not fit, in any sense to control anyone else,” Ehrenreich writes. Natural Causes is at once idiosyncratic, compelling, frustrating, provocative, and smart. Like all of her books, Ehrenreich asks hard questions that sometimes have hard answers, and sometimes no answers at all. I had the pleasure of speaking with Ehrenreich about her new book, as well as everything from wellness and Goop, to self-care, killing it in the gym, and mortality. Our conversation has been edited and condensed for clarity. JEZEBEL: I wanted to start by asking the obligatory first question: Why this particular topic at this moment? 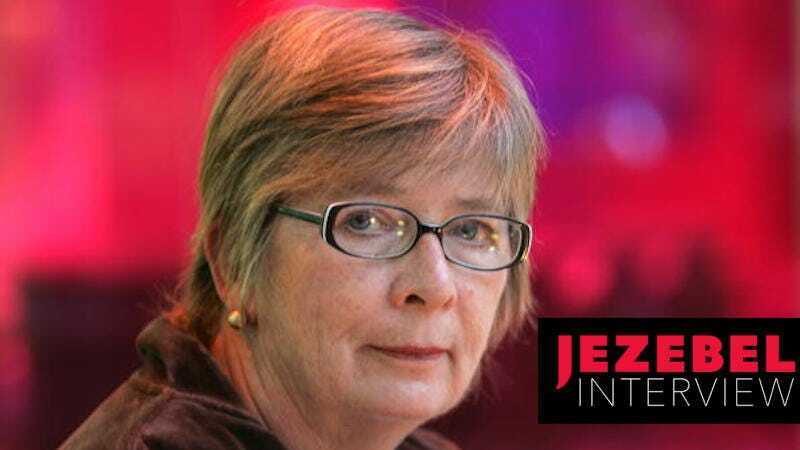 BARBARA EHRENREICH: All my books, despite everything I write, are motivated by two things: anger at some kind of injustice and curiosity. I did feel a lot, I don’t know if I want to say outrage, but I couldn’t believe it when I got to a certain age and found that people my age, in an upper middle class demographic, were devoting most of their time to trying to prolong their lives. They were curating their diet. They were doing all of these preventative medical tests. They were fixed on the amount of exercise they were getting. I thought, “This is strange. What’s going on here?” That was part of it. There was also a scientific mystery here that I get into. I was interested in how cells of our own bodies turn against us no matter what we do. We have no way to control what is going on at the cellular level, unfortunately. In this book, you reject medicalization—these things we’re told that we’re supposed to do to “age well” or to extend life. One of the arguments that I thought was interesting is that this idea is selling the fiction of individual control over the body or of death. This fantasy of eternal life isn’t particularly new, but it seems more pressing at this particular moment in history. This started in the 1970s, that’s when gyms start opening up and when people start running, they start changing their diets in whatever way was fashionable at the moment. I think a big part of the impetus, which I still think is true, is that people do not feel like they have control over many things in their lives. I mean, just watch the news. Things seem out of control, but that you can control your own body is the idea or the hope. I can’t control the kind of things that are going to come out of the White House next, but I can certainly strengthen my quadriceps. It’s a realm of control. Right, but this realm of control is very fictional down to this cellular level, which you explore very elegantly in the book. I was wondering how this kind of control became so necessary to the construction of what you identify as individualism. Why is individualism so subject to this iteration of self-control? In the 1970s, Christopher Lasch wrote a book called The Culture of Narcissism and he saw the fitness culture as part of rising narcissism. In his mind, people who had been involved politically in the 60s had now turned to this intense concern with their bodies and later their “mind-bodies.” His perfect case of that was Jerry Rubin, who went on to become a kind of fitness guru. He tried every single alternative modality. He had a business in fitness and health. That was the Lasch narrative—that it was the despair at not really being able to change anything in this society that made people turn to themselves and this narcissist construction of the perfect body and perfect mind. I think a big part of the impetus, which I still think is true, is that people do not feel like they have control over many things in their lives. I mean, just watch the news. As you just said, that’s plagued with politics. You tease out this real tension in fitness culture between discipline—like Fitbits, quotas, or reps at the gym— and an element of punishment—like, “crushing” your workout. The systems of discipline and punishment are inherently associated with cultural and political oppression. I guess I’m wondering: If fitness is a way to create a sense of individual control, then why have we allowed these systems into fitness? There is something of the old Protestant ethic going on; there is something punitive. It fascinates me, in the gym, to see guys with a clipboard recording the number of reps and the weight and so on. This person is enacting two roles: one is the role of a manager, keeping records and getting a quota filled. The other is the role of the worker, who is supposed to perform these things. That’s a remarkable bifurcation of the self. What I noticed just recently is that my gym started offering a new class—and this goes beyond crushing the body—to “shred” the body. I just envision ravens eating corpses on battlefields. It’s very punitive to get into this self-punishment routine. I like to feel strong and feel like I’m getting stronger—though I can’t say that I am. Yes, I have written about Goop and wellness. They may do some exercise in the world of Gwyneth, but mostly you’re loving yourself. Self-love is a huge part of this; if anything sounds like narcissism to me, it’s self-love. I even found a website about self-worth. I think the self has replaced any external deity as what you take care of. In the wellness culture represented by Paltrow and others...there’s this woman Amanda Bacon in Los Angeles, have you heard of her? She has a heavily curated, as she puts it, “lifestyle.” And there’s Blake Lively, too, selling this curated lifestyle, whatever that means. It does mean that you have very little time to do anything except take care of yourself, rub things onto your skin, choose what food might be acceptable in your conception of what a diet might be, and on and on. I find that really fascinating. You have to spend a lot of money on yourself to prove to yourself that you love yourself. This notion of wellness that you home in on is inherently classed. As wellness has really taken hold, it seems impossible to break away from this reality that in order to truly seem healthy you also need to be wealthy. I think there’s some truth to that in reality too, not just the realm of wellness. There’s a big difference in mortality between rich and poor, between even rich white men and poor white men. That probably has to do with better nutrition and less stress. The working class person today may have no job, may have three jobs, may have jobs in many cases where they’re just on-call with no regular schedule. When you’re on call, you can’t plan anything like child care. It’s extremely stressful, and one way of handling stress, which is deeply disapproved of by the social class I more or less inhabit, is smoking. Weirdly enough that becomes a form of self-nurturance for people who can’t take afford to take a holiday in the Bahamas or wherever. What I noticed just recently is that my gym started offering a new class—and this goes beyond crushing the body—to ‘shred’ the body. I just envision ravens eating corpses on battlefields. I wanted to go back to self-love for a moment. In a lot of women’s publications, the concept of self-care has really taken hold—and I mean self-care as cosmetics or skincare aimed at white women, to be clear. It’s often presented as this really radical feminist action, just as Goop presents itself as a feminist site. How does this idea of self-love or self-care as radical political action work when there is so much class divide? Most people can’t participate because of its high cost. I think that a movement should be developing mutual care; a social movement itself should not be about self-care. It’s right to say, and I say it to a lot of people: Don’t burn out. This is a long struggle. Just do what you can but be sure to get enough sleep, enough to eat, and have some fun now and then. But I think that these are thing also that we can do in a more solidaristic way than just say “Oh, go home and do some self-care.” We could talk to each other, we could have more parties and celebrations, we could do more dancing. I know this sounds a little crazy, but I think that it’s something that’s very much missing in our lives. Oh yes, health had to go. Health is lower-class. Yeah, definitely. In the book, you note that health, or the absence of disease, is no longer enough, you also have to be well. Why do you think it is that this incredibly classed concept has such currency, especially in women’s publications? Wellness edged out health because health had this unpleasant meaning of the absence of disease and we don’t even want to mention disease. Wellness is the upper-class version. We have such a class divide in our society that we can’t have one word that covers even a sort of biological or mental condition of both the upper and lower classes. Wellness had to be carved out as something new, something boutiquey, special, and expensive. Now, wellness has another meaning if you’re a worker, blue- or white-collar; your employer might institute a “wellness program.” All that means is that they want to do surveillance. They had the idea that they could cut their expenses on health insurance if they can monitor the health of employees. It’s mostly about getting their weight down, frankly. Sometimes blood pressure is involved. One of the ironies here is that studies have not found any effect on health insurance expenditures for companies that do this. But anyway, for the lower classes, wellness is a really scary word because if you don’t participate in a company wellness program, you can be fined. We have such a class divide in our society that we can’t have one word that covers even a sort of biological or mental condition of both the upper and lower classes. Wellness had to be carved out as something new, something boutiquey, special, and expensive. There seems to be this real tension built into wellness. On one hand, wellness for the wealthy places a real emphasis on the individual but, on the other, for the middle and working classes, it can be corporate surveillance that seems to strip them of this very concept of individuality. Is individuality itself a commodity that can only be purchased by the wealthy? That’s a hard question. Certainly, when you get to the level of self-branding, you are probably not talking about somebody who does lawn maintenance. That idea of branding and creating a unique you that can then be displayed in the world….I think it’s kind of fascinating. What do you think? I agree that it’s interesting, that transformation of the self into a brand and thus a product to be consumed…. Yeah, with your own style and everything. I don’t understand the kind of split in one’s consciousness this requires. To say, “Okay, I, Barbara, am going to polish and hone my brand today.” It’s sort of like another Barbara I’m putting out in the world. I can’t do that to myself. Can you think that way? No, but to be honest, the longer I am online, the more alien social media platforms that help you cultivate that idea of the brand seem to me. I found the idea of the body as a “tiny collection of selves” to be really compelling. You argue for this kind of paradigm shift that constructs the body as a site of conflict down to this cellular level. I’m wondering, what would our concept of the body be—or even our concept of the individual—if we thought of ourselves as permanently in conflict? Would these concepts even have any currency? The wellness, holistic style paradigm has been of a body where, there may be different parts, but everything is in harmony. If it’s not in harmony, you can adjust that with mindfulness or yoga or whatever. That’s not how the body works: There is a huge amount of conflict between the cells, and some of this gets pretty dramatic as you get older and you get more and more inflammatory-related problems, which are really immune cells turning against your own body. So, what am I then? I am this site of a lot of cellular activity, some of which is very helpful to my conscious mental self, and some of which is very destructive to the body as a whole and how I feel. I don’t know where we go from here. I think the idea of the self has to be really reexamined. I’m not a Buddhist—Buddhists would have a good rap on this that I should learn—but the self was an invention that’s only about 400 years old. This is a new idea. This notion of the individual self, as opposed to other individual selves, is a recent one. We have to get beyond it. You also seem very wary of the concept of the self and argue that, in many ways, it’s just the religious soul modernized. Historically, the soul, which was also at one point an invention, the term became secularized as the self. It is a major concern of, say, psychotherapy. When you go to a therapist, you don’t talk about how the world needs to change or systems of oppression, you talk about minute feelings about these things instead. It’s all self, self, self. You brought the idea of mutual care instead of self-care earlier, do you think that we’d be better prepared, or at least more accepting of mortality, if we were invested in these communal bonds? Absolutely. I face my personal death with equanimity in no small part because I have been a participant in the feminist movement and whatever else we social justice warriors do. I know that I am part of a very long tradition of people who have fought for the same things over the centuries. I’ve made my tiny contribution, maybe I can make a little bit more and then others come along. I’ve been so busy in the last few years passing the torch. That’s what I do in my work life now, more and more. I work with an organization called the Economic Hardship Reporting Project, which raises money to support financially challenged journalists, mostly poor, women, people of color. What I see myself doing, rather selfishly, is reproducing myself. I’m not going to be able to do this work—you do it. That includes you, too. I think you’re probably a lot younger than I am, right? So, I’m passing a torch. The work will go on. In a physical and abstract way, the duty of the world will go on. Maybe other people will see it and enjoy. The world seems alive with beauty to me and that doesn’t go when I go.